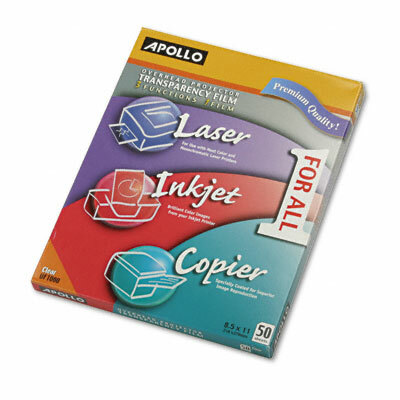 For most office printing and copying equipment. Works in most plain paper copiers, ink jet printers and color laser printers. Helps eliminate confusion as to which transparency to use. Create and present crisp charts, graphs and spreadsheets using your copier or printer. With color printers and copiers, transparency films produce vibrant colors for eye-catching presentations.